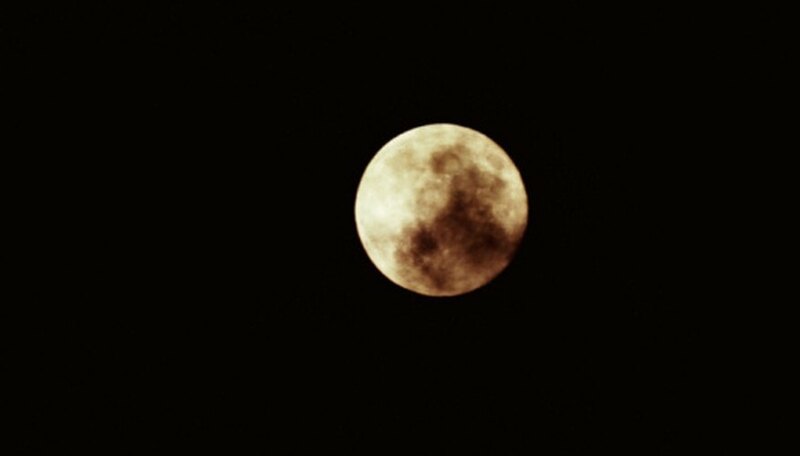 The moon is the brightest object in the night sky. It appears to change shape depending on the position of the Earth and the sun. The moon orbits the Earth every 29.5 days. As it orbits the Earth, it appears to be getting bigger (waxing) or smaller (waning). There are five phases of the moon: new, crescent, quarter, gibbous and full. 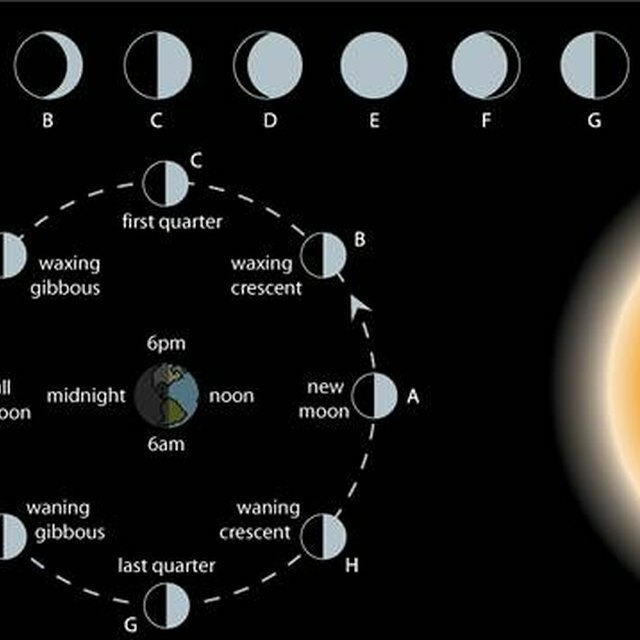 A new moon phase is when the moon is directly between the sun and the Earth. The moon's illuminated half is facing away from the Earth making the moon not visible from Earth. Due to the lack of light in the night sky, this is the best time to see stars and constellations. The second phase of the moon is called the crescent moon. The moon orbits the Earth and each night reveals more of its illuminated hemisphere. At this phase, less than half of the moon is visible. To find out if the moon is waxing or waning you can hold a finger up to the crescent moon shape. If your finger against the crescent moon makes a "b" shape then it is getting bigger (waxing). If your finger makes a "d" shape then the moon is decreasing, or getting smaller (waning). In the quarter moon phase, half of the satellite is illuminated. 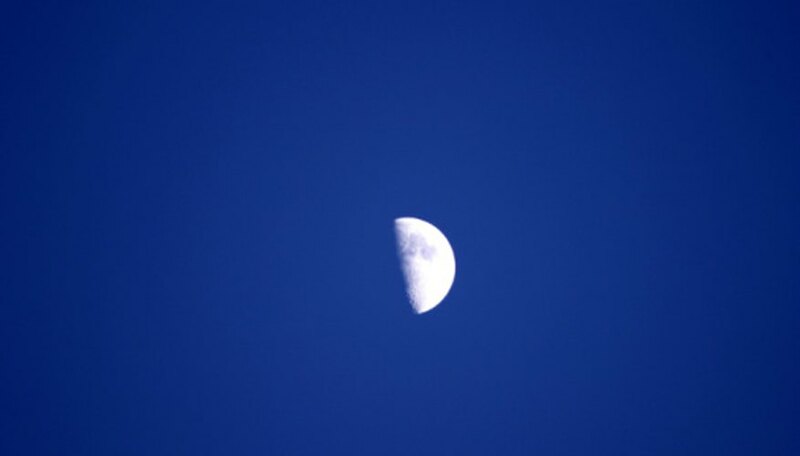 The first quarter moon occurs after the new moon and before the full moon. 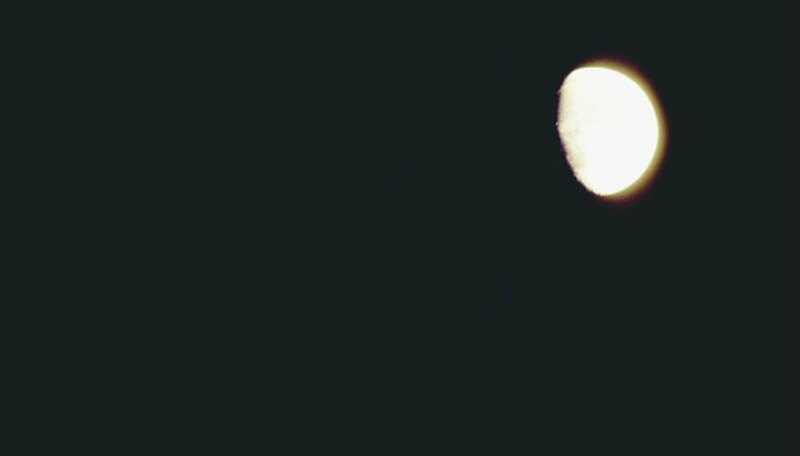 The last quarter moon appears after the full moon. The gravitational pull of the moon also affects the oceans' tides. At the quarter moon stage, the gravitation pull is weaker and smaller neap tides form. A gibbous moon is when more than half of the moon is visible. Many farmers plant and prune by the phases of the moon. The waxing gibbous moon is considered the best time for planting crops that produce fruit or vegetables above ground, such as beans, melons, squash, peas, peppers and tomatoes. The moon increases in size until it appears as a full circle in the sky, or the full moon. In the full moon phase, it will appear as a complete circular disk in the night sky. At the new and full phases of the moon, the gravitation pull is the strongest. This causes higher ocean tides. Many people believe that a full moon can affect hormones, mood and even induce labor. After the full moon phase, the moon will appear to decrease in size moving through the phases again in reverse order: gibbous, quarter, crescent and new moon. Tina Smith began writing in 2009. She has published a short story in "Chicken Soup for the Soul: New Moms" and contributed an article to "True North Parenting" magazine. Smith graduated from California State University, Chico with a Bachelor of Arts in psychology and a Master of Arts in school psychology and counseling. Smith, Tina. "Five Phases of the Moon." Sciencing, https://sciencing.com/five-phases-moon-8526546.html. 25 April 2017.